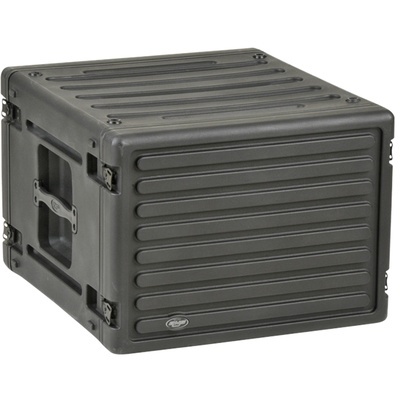 Product #20475 | SKU 1SKB-R8U | 4.0 (based on 1 rating) Thanks for your rating! The 8U Roto Rack Rack Case from SKB provides solid protection to rackmount equipment for musicians and pro-audio engineers. The rotationally moulded polyethylene case ensures strength and durability, while the recognisable bar design signifies the 8U rack size on the front and rear covers. The recessed steel twist latches with front and rear rubber gaskets ensure the cover's tight seal against moisture and dust.